Standards play an important role in providing a common set of specifications and allowing inter-operability between devices and systems. Until recently, no standard for high-dynamic-range (HDR) image coding had been adopted by the market, and HDR imaging relies on proprietary and vendor-specific formats which are unsuitable for storage or exchange of such images. To resolve this situation, the JPEG Committee is developing a new coding standard called JPEG XT that is backward compatible to the popular JPEG compression, allowing it to be implemented using standard 8-bit JPEG coding hardware or software. In this paper, we present design principles and technical details of JPEG XT. It is based on a two-layer design, a base layer containing a low-dynamic-range image accessible to legacy implementations, and an extension layer providing the full dynamic range. The paper introduces three of currently defined profiles in JPEG XT, each constraining the common decoder architecture to a subset of allowable configurations. We assess the coding efficiency of each profile extensively through subjective assessments, using 24 naïve subjects to evaluate 20 images, and objective evaluations, using 106 images with five different tone-mapping operators and at 100 different bit rates. 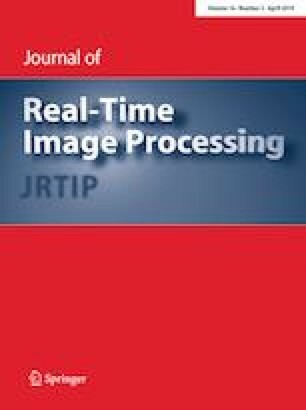 The objective results (based on benchmarking with subjective scores) demonstrate that JPEG XT can encode HDR images at bit rates varying from 1.1 to 1.9 bit/pixel for estimated mean opinion score (MOS) values above 4.5 out of 5, which is considered as fully transparent in many applications. This corresponds to 23-times bitstream reduction compared to lossless OpenEXR PIZ compression. This work was partially supported by Ministry of Science and Innovation Subprogramme Ramon y Cajal RYC-2011-09372, TIN2013-47276-C6-1-R from Spanish government, 2014 SGR 1232 from Catalan government. EPFL authors acknowledge the Swiss National Foundation for Scientific Research (FN 200021-143696-1) which supported them in carrying out the work presented in this paper. The objective quality evaluation was possible thanks to High Performance Computing Wales, Wales national supercomputing service (hpcwales.co.uk).